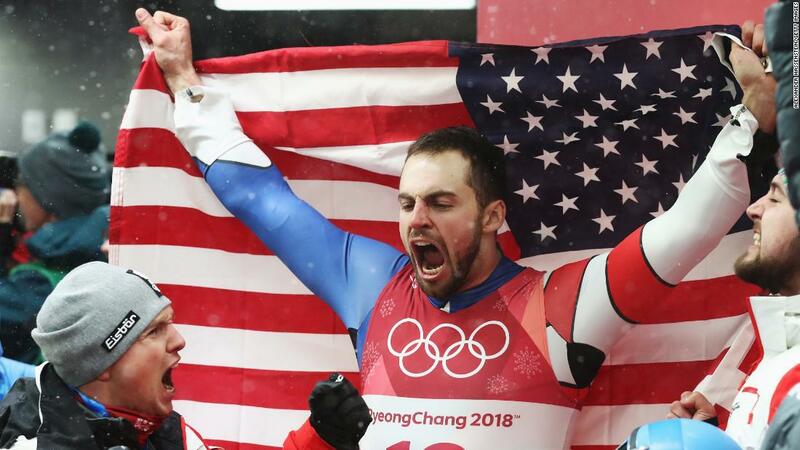 (CNN) After winning the silver in the men’s single luge competition, American Chris Mazdzer shared a touching story about how a fellow Russian luger offered him a hand before the Games — or more accurately, his sled. And Mazdzer, who was training in Latvia a few weeks ago, needed a boost. He’d hit a rough spot in his training, and voiced his frustrations on social media. I took this picture right after walking home from the track after a less than ideal race. Even after an hour I could still feel the anger, frustration and disappointment deep inside and it was still coming through my eyes. What kills me on the inside is not the fact I made a few small mistakes, what kills me and has been driving me wild for over a year now is the fact that no matter what I do my top speed and ability to be with the top guys in the world has disappeared, and I don’t know why. (Also probably the fact that I really care) There comes a point where giving it everything you have and believing in yourself starts to fade away and I am almost to that point. For some reasons unknown to myself, things are not working out as planned. Why keep pushing on then? Well, for starters I still believe in myself and am confident with my sliding and starts. I am not someone to walk a way during a struggle although this struggle seems to be getting the best of me… Finally, there is no way I can give up with the biggest race of my life being just weeks away and even though the last thing I want to do right now is think about Luge, that’s what I am going to do this afternoon. There is a light somewhere in this dark cave that I feel like I am stumbling aimlessly through at times and you better damn believe I’m going to find it. Thank you to everyone who has always believed in me, I want you to know that you always help me get through the tough times and I am looking forward to sleighing the future 落 I thought about waiting to post this until after laying down and contemplating things over but writing that actually felt very cathartic. Screw it, post! So Mazdzer took the Russian up on his offer and tried out that sled. But Mazdzer was genuinely touched by the Russian’s gesture.